We're exploring two different animals in today's episode. One has a long neck and the other has a long trunk! We'll answer: Why are elephants so big? How do their trunks work? Why do they have tusks? Why is elephant skin so rough? Do elephants stomp? Are they actually afraid of mice? And Why are elephants being poached? Peter Wrege of the Elephant Listening Project, which studies elephants in Central African Republic, answers elephant questions. 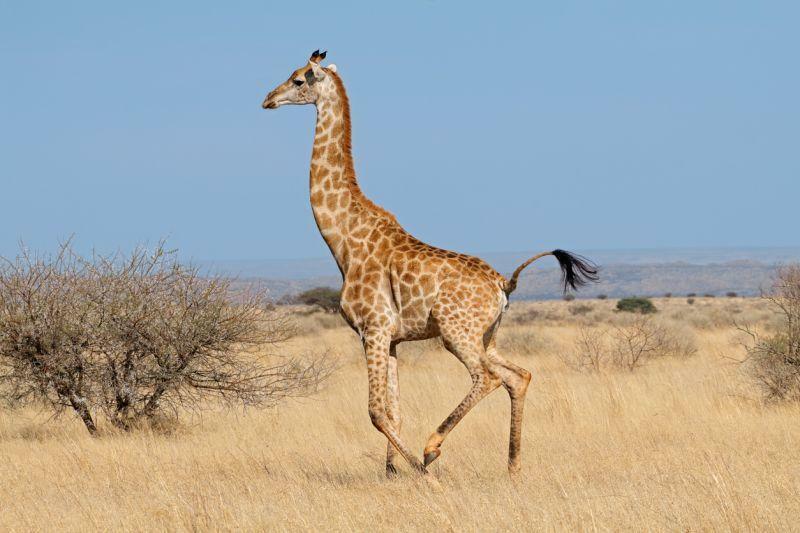 And Steph Fennessy, from the Giraffe Conservation Foundation in Namibia, answers these questions about giraffes: Why do giraffes have long necks? Why do animals have different patterns, like zebras, giraffes, cheetah? What's a giraffe's usual life span? And why are their tongues purple? "Elephant trunks are one of the most amazing things anywhere. The trunk of an elephant is a really long nose, but a whole lot more useful than ours is! Elephant trunks have more than 40,000 muscles, which lets them do just about anything with their trunk," says Peter Wrege. By comparison, humans have about 700 muscles in our whole body! Our noses have just four muscle groups to help them function. But did you know that early elephant ancestors didn't have a trunk at all? "Scientists can only guess about why getting a long trunk helped early elephants survive better. Early elephants did have tusks, and one idea is that as tusks got longer, it was harder and harder for elephants to get their mouths to the ground to reach the grass. The trunk helped them to reach more food," according to Wrege. It also helps elephants eat more food in a shorter time. While they're chewing up a mouthful of grass or leaves, they're using their trunk to get the next bite. Giraffes have seven bones in their long necks, the same number as humans. "A giraffe tongue looks really cool. It's purple, black and really long, 20 inches (50 centimeters). And if you watch them feeding, they wrap their tongues around the branches to drag off the leaves. Many people think that it's purple, or really dark black, to protect it from the sun; just like you use sunscreen to protect your skin from the sun," says Steph Fennessy of the Giraffe Conservation Foundation. Another fun fact is that their saliva is anti-septic. "If they injure their tongues when feeding on the long thorns of the trees, they actually don't get infected," Fennessy says.